Police say they are hoping members of the public can help identify the victim (left), who they describe as black woman in her mid 20s or early 30s. "She told me, 'He's going to kill me'". As she passed two men talking near a dark auto, she pointed toward a white Nissan Altima that immediately after, runs up close behind the dark vehicle and stops suddenly enough for the vehicle to bounce a bit. 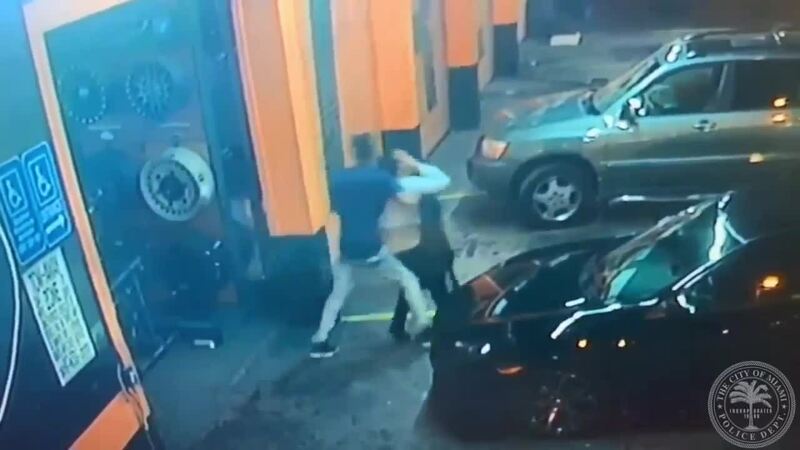 A witness told WPLG Channel 10 the man "hit her, like, 20 times". "We're asking anyone with any information in regards to this abduction, this kidnapping, please come forward with any and all information", Miami Police Commander Freddie Cruz said. "We need apprehend this individual". 'We don't know the whereabouts of this young lady. Partial numbers from the tag are CFJ7 or CJF7.